It is amazing how much we take for granted in our world today when it comes to technology and time measurement. Today we take accurate timekeeping for granted, which in many ways is a good thing, but it is important to reflect and understand how this came about. 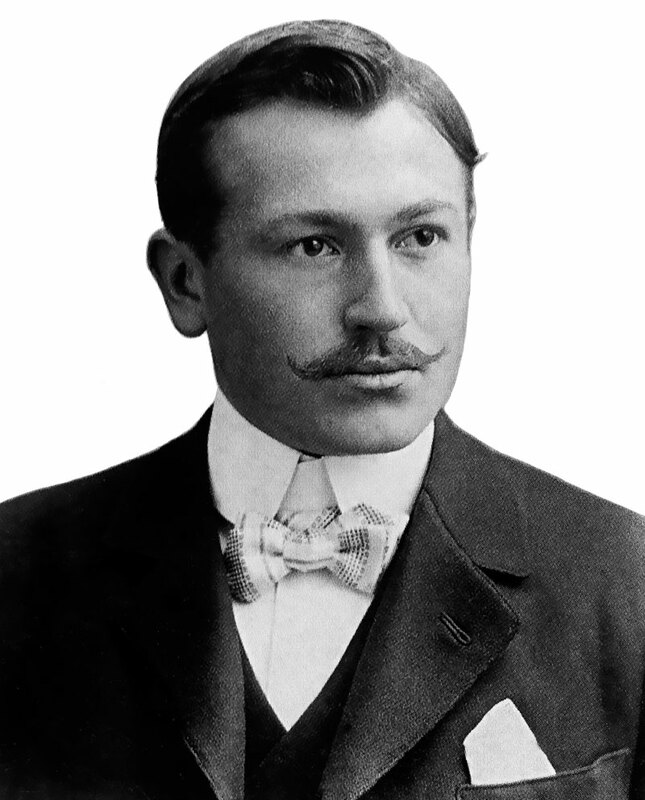 The history of Rolex, all began with its Founder, Hans Wilsdorf (pictured below), who was completely obsessed with making extremely precise and reliable wristwatches. 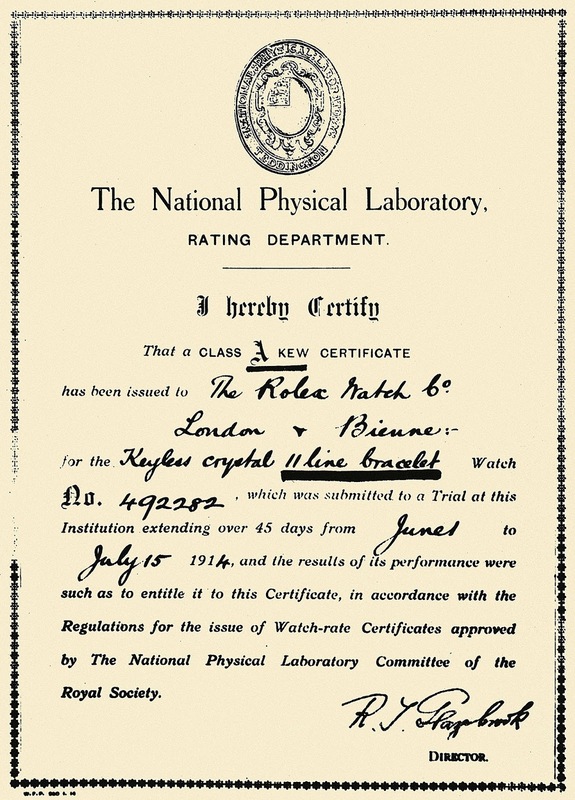 Today, being July 15, 2014 marks the 100th anniversary of the Kew Observatory in Great Britain certifying a Rolex as a "Class A" wristwatch for the first time in history, as witnessed in the following document from the National Physical Laboratory. 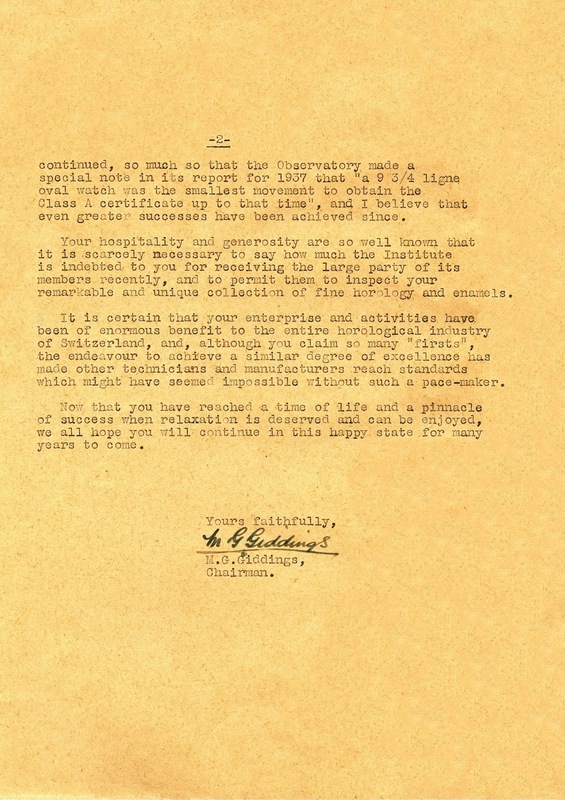 Notice in the document above, it says: "I hereby Certify, That a CLASS A KEW CERTIFICATE has been issued to 'The Rolex Watch Co, London + Bienne." 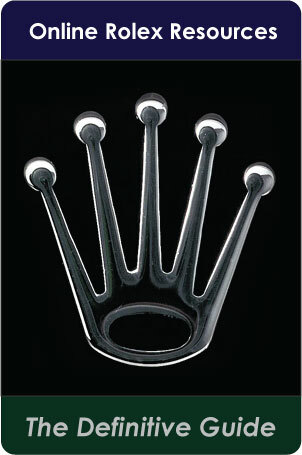 This is because at the time of issuance Rolex was still headquartered in London, England. 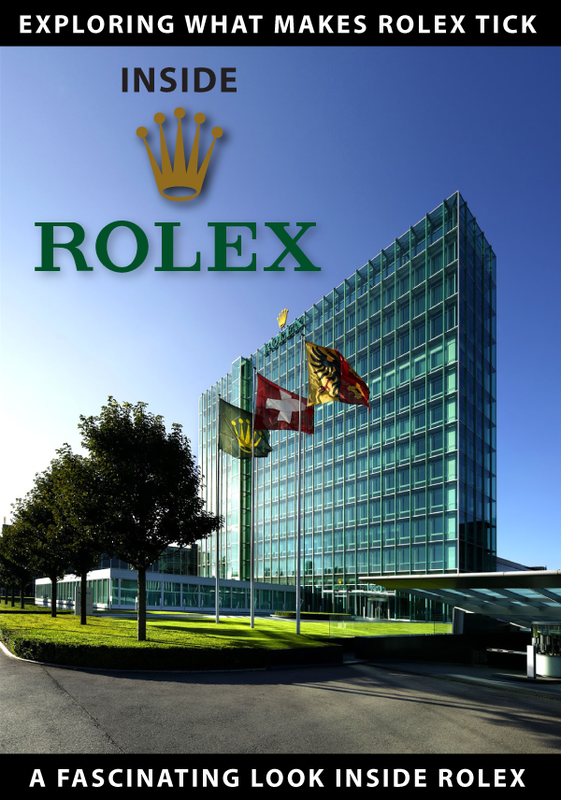 It was not until more than a decade later that Rolex moved its headquarters to Geneva! 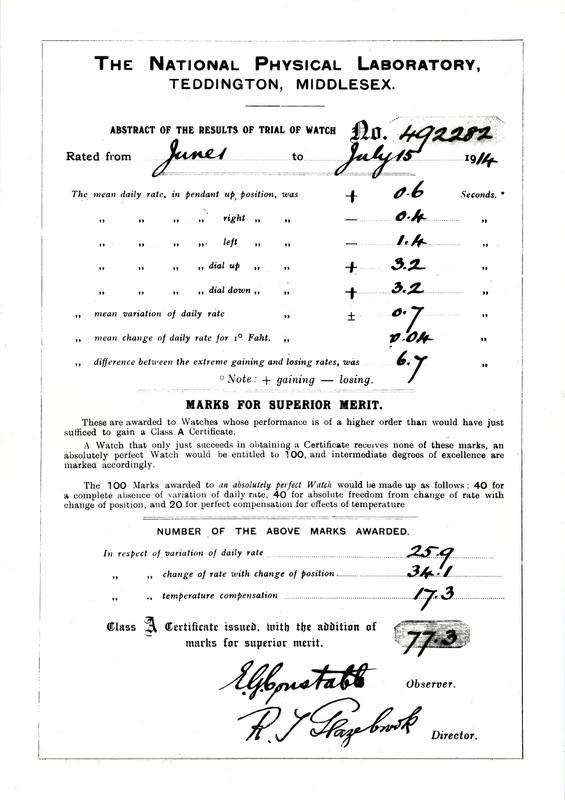 Next we see the actual timing results from the National Physical Laboratory, dated July 15, 1914. The Rolex watch seen below is comparable to the one certified as a "Class A" Chronometer by the Kew Observatory in 1914. Watches worn on the wrist used to be known as Wristlets, which is evidenced below. 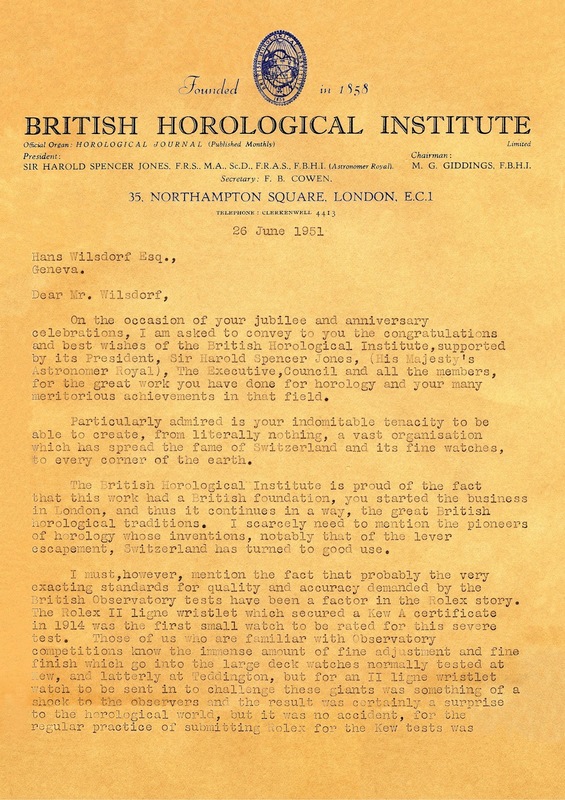 Next up we see a letter from the Director of the British Horological Institute, written to Hans Wilsdorf, dated June 26, 1951, congratulating him on his incredible lifetime achievements in the field of Horology. 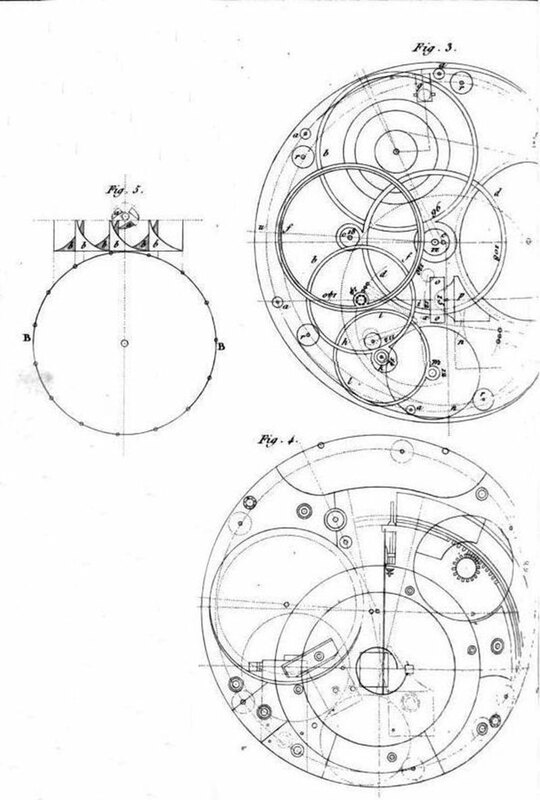 In order to best understand the significance of the Kew A Certification achievement by Rolex in 1914, it is important to delve into the history of horology, i.e., timekeeping. 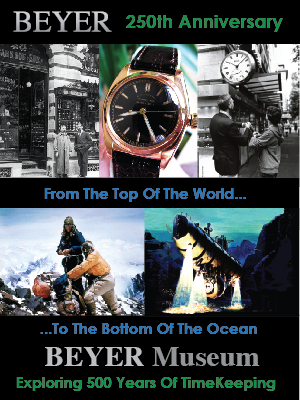 The history of the Marine chronometer is absolutely fascinating! 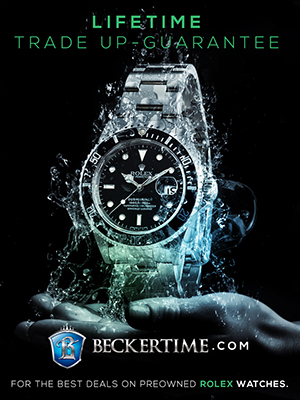 On Jake's Rolex World I use the term "tool watch" to describe Rolex Professional Watches, like the Rolex Submariner and GMT-Master, but long before these wrist watches, the first real tool watches were used to accurately determine global positioning on the Earth's oceans. In order to do so, you needed to be able to accurately measure latitude and longitude at sea level. The concept of "longitude" was developed by the Greek, Eratosthenes who lived between 276 BC and 195BC. Ptolemy who lived between 90 AD and 168 AD was the first person to successfully incorporate the concept of a consistent Meridian for a world map in his Geographia. 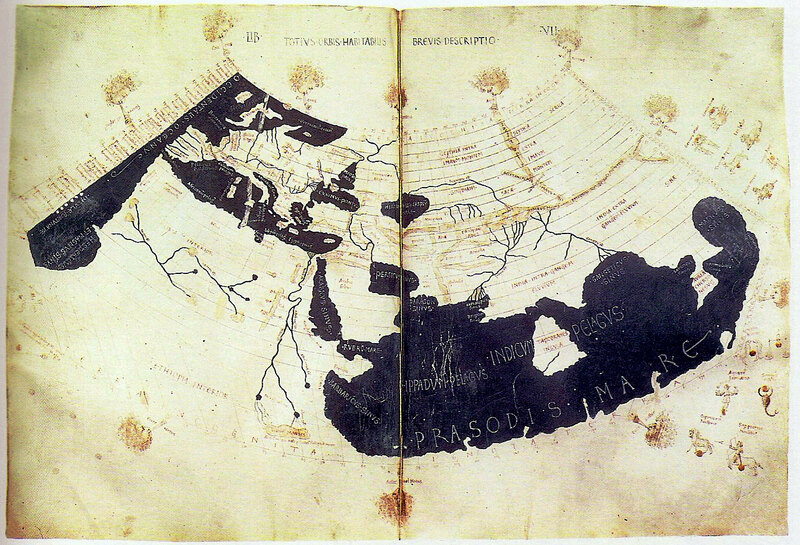 Ptolemy's world map is depicted below, as it appeared in 150 AD. This version was redrawn during the 15th Century. 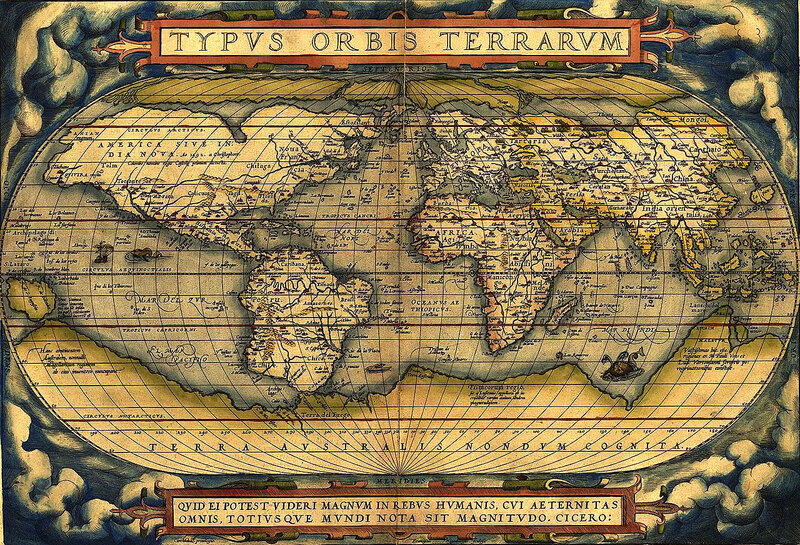 By 1570, Ortelus produced the worlds first modern atlas as seen below, which accurately depicted the layout of earth. This atlas depicted the concept of longitude in a way that made sense for the first time in history. Up until the mid 18th Century, around the mid 1750s, the only way mankind had figured out how to accurately navigate the oceans was to use landmarks, which was not very accurate, particularly if you were crossing the major oceans. Basically, sailors could determine their latitude successfully by measuring the sun's angle at noontime, when the sun was at the highest point in the sky. 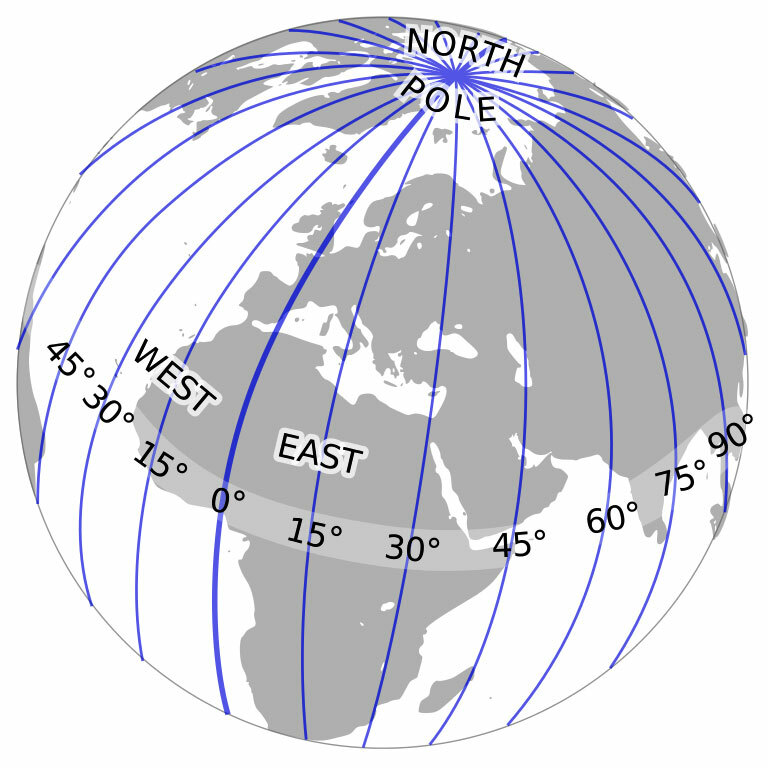 Also if located in the Northern Hemisphere, they could use the North Star (Polaris) during twilight to measure latitude. The existing challenge at the time was if you used a clock or watch to measure longitude on a sea voyage, and the watch wasn't perfectly precise, you could set sail for Boston from London, and end up in the West Indies, or even worse, the ship and crew could get completely lost and die in a shipwreck. The great challenge is they could not figure out an accurate method for calculating longitude. The 17th and 18th Century were a time of great expansion and discovery for the United Kingdom, as they were attempting to explore much of the world in order to colonize much of it. Much of this prowess was achieved through their advanced development of Maratime technology and tools. Notice with the globe illustration below that all of Earth's longitude begins and ends in London, England on the Prime Meridian. In 1714 the British Government offered a reward of £20,000, which by todays standards would be several millions of dollars, for the person who could create an accurate method of determining longitude [East-West Positioning for a ship] at sea. A Yorkshire carpenter, John Harrison [1893-1776] entered the contest in 1730, and in 1735 made a clock that was not affected by gravity, or by the motion of the sea upon the ship. After many attempts, in 1761 John Harrison invented the worlds first ultra-accurate Marine Chronometer, which could successfully measure longitude in the ocean. 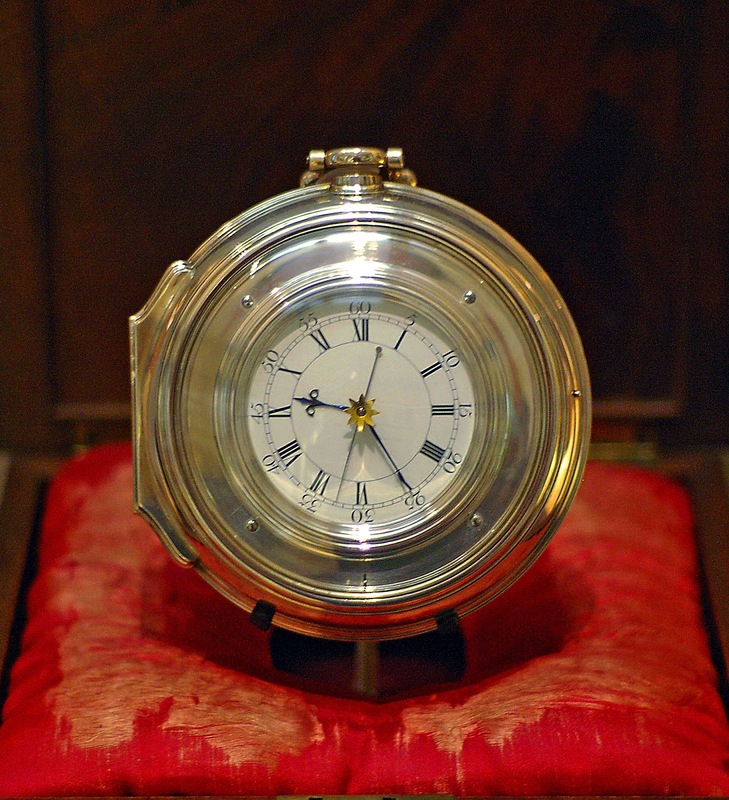 The last Marine Chronometer John Harrison developed is pictured below. It was made in 1772. 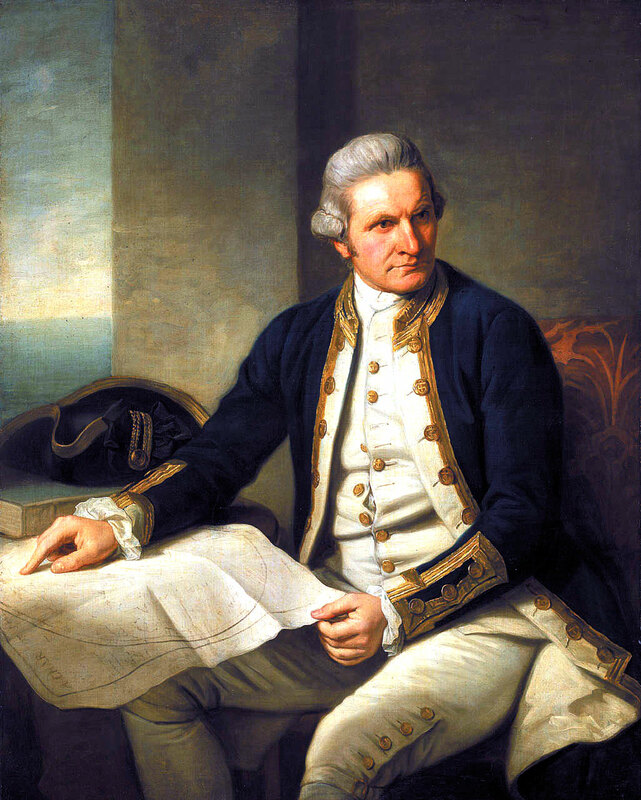 In 1773 John Harrison finally collected the prize money for inventing his Marine Chronometer, but many seafaring explores used Harrison's advanced Marine Chronometers as navigation tools, including Captain Cook (seen below), during his second and third voyages from 1772 to 1779. Marine Chronometers forever changed the landscape of the world and allowed international explorers to much better navigate the seven seas. This in turn increased global trade and commerce which eventually fueled the industrial revolution. Until then, such a certification, which attested to the highest chronometric precision, had generally been awarded only to large marine chronometers after extremely rigorous tests. Rolex was the first to prove that a wristwatch could be just as precise as a marine chronometer – something that was scarcely believable at the time. This performance would contribute significantly to the rise of the wristwatch. On the strength of this success, Rolex would become the world’s largest manufacturer of chronometer-certified wristwatches. The brand perfected the concept of the modern watch in 1926 by inventing a waterproof Oyster case to protect the movement and then, in 1931, by developing the self-winding Perpetual rotor movement. Today, all Rolex Oyster models are officially certified chronometers, the heritage of the pioneering role played by the brand in bringing precision to the wristwatch. By obtaining the very first “Class A” rating certificate for a wrist- watch from the Kew Observatory near London, on 15 July 1914, Rolex accomplished an exploit that would forever change the destiny of the modern watch. A feat of miniaturized precision, this first chronometer wristwatch met with flying colours the British observatory’s demanding criteria, the most stringent in the world: 45 days of tests, in five different positions and at three different temperatures (ice-cold, oven-hot and ambient). For the first time in history, a wristwatch fulfilled the requirements expected of the best marine chronometers. These navigation instruments, whose precision was used to determine the position of ships at sea (longitude), could not deviate by more than a few seconds per day without putting the safety of the ships at risk. 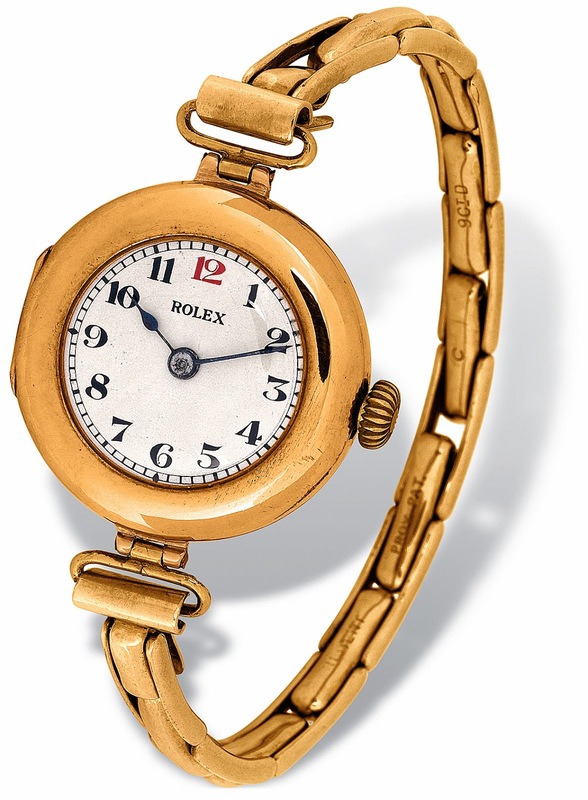 The Rolex wristwatch- chronometer certified by Kew 100 years ago recorded an average daily rate of only +1 second. 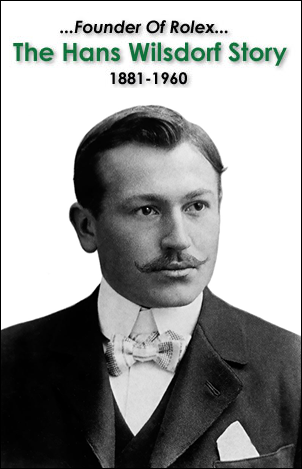 The man behind this feat was Hans Wilsdorf, who founded Rolex in 1905. By obtaining this first chronometer certificate from Kew, he demonstrated that, in terms of precision, a small wristwatch made by Rolex could rival the best of timepieces – including pocket watches, which were the norm at the time. In those early days of the 20th century, no one had yet managed to design a truly reliable and precise wristwatch. Wristwatches were not favoured at the time, as the small mechanism could not compete with the regularity and reliability of the larger pocket watch movements. However, since the beginning of his career, Hans Wilsdorf had been firmly convinced that the wristwatch would be future of the watchmaking industry. 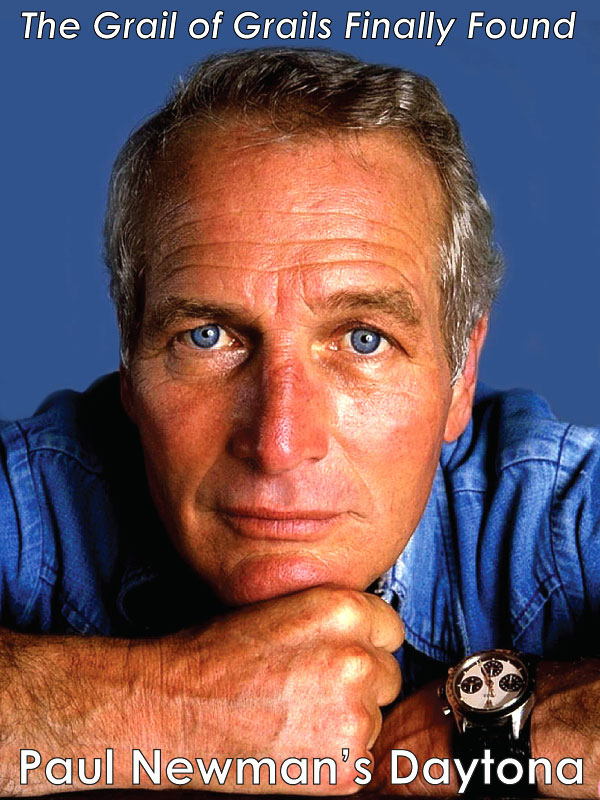 He devoted the energy of his youth to eliminating all the weak points of the wristwatch. The quest for precision was his first objective. This visionary entrepreneur was firmly convinced that precision was essential to secure the acceptance and popularity of the wristwatch. Nearly two centuries after John Harrison designed the first marine chronometer, Rolex targeted equal precision for a wristwatch. The first success came in 1910 when the brand succeeded in obtaining a chronometer certificate for a small watch from the Official Watch Rating Centre in Bienne, Switzerland. In 1914, Rolex designed and produced a chronometer wristwatch whose precision equalled the most sophisticated measuring instruments of the era and had it certified by the Kew Observatory. 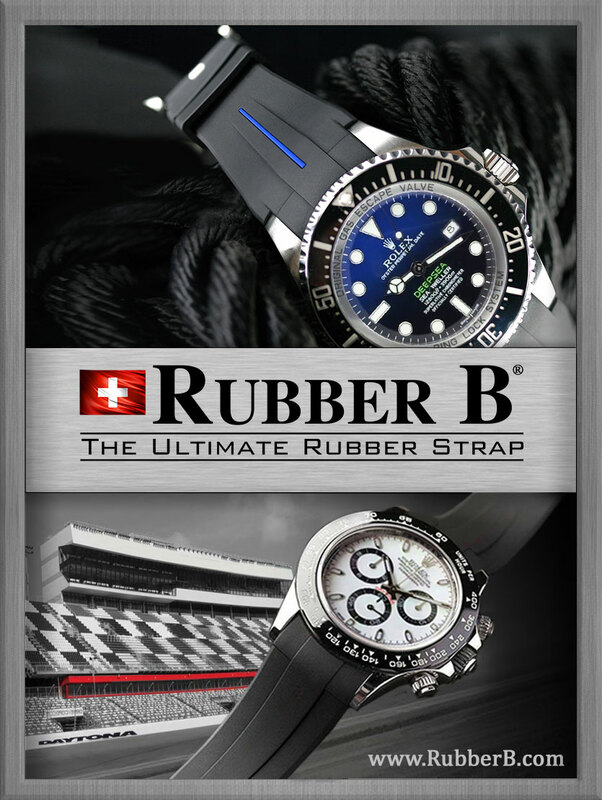 Its performance was unheard of; endorsed by the most prestigious official observatory in the world, it would contribute decisively to the rise of the wristwatch. Until then, making the wristwatch into a reliable, robust, high- precision device had been the stuff of utopian dreams. But Hans Wilsdorf demonstrated that precision in a small format was not only conceivable but also achievable. This distinction by Kew was an official recognition of the highest world-class quality for Rolex and held the promise of a bright future for the wristwatch. From then on, to maintain its leading position in the manufacture of high-quality precision wristwatches, Rolex made it a point of honour to develop mechanical movements that were certified as chronometers by observatories and official watch rating centers. While officially certified by chronometer certificates, the precision attained by the Rolex wristwatch remained much more vulnerable to shocks, dust and humidity than that of pocket watches. Therefore, Rolex’s next objective was to design a perfectly waterproof case to protect the movement and maintain its certified precision. This was accomplished in 1926 with the invention of the Oyster, the world’s first waterproof wristwatch, thanks to an ingenious patented case system featuring a screw-down bezel, case back and winding crown. The name, Oyster, was inspired by its capacity to remain indefinitely submerged in water without risk of damage. It was not only waterproof, but also dustproof, for dust is a formidable enemy of watch movements. 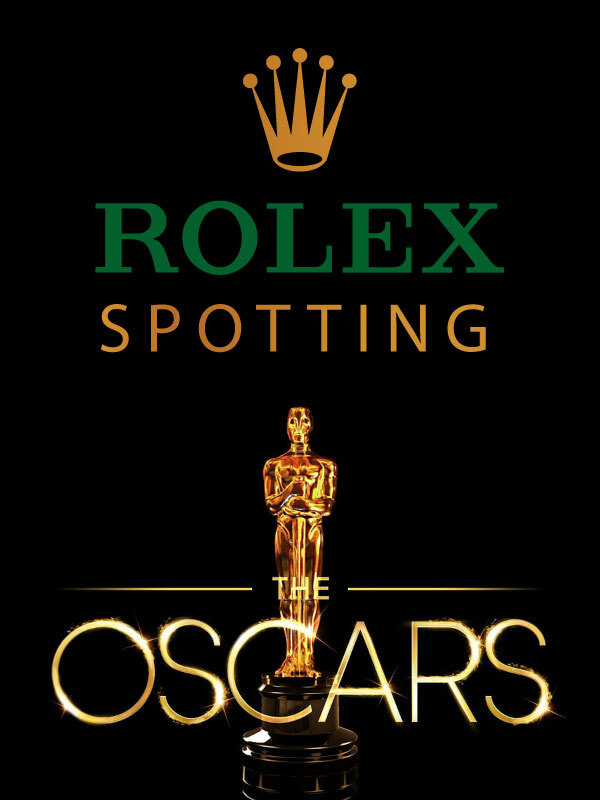 To further perfect its watches, Rolex developed in 1931 the Perpetual self-winding system, which winds the mainspring via the action of a free rotor driven by wrist movements. There was no longer a need to wind the watch manually with the winding crown, a critical point for maintaining waterproofness. This self-winding system, also patented, ensured a constant power reserve and regularity of rate. 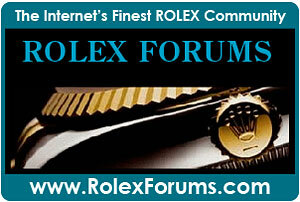 A true pioneer in chronometer wristwatches, Rolex made certified precision its signature. By the early 1950s, Rolex had manufactured nearly 90 per cent of all chronometers officially certified in Switzerland since 1927 — the year specific criteria for wristwatches were introduced. When, in 1951, the regulations changed and it became compulsory to obtain chronometer certification from an official body, Rolex went further and made sure its movements obtained certificates bearing the citation “particularly good results”. This distinction gave rise to the famous phrase still inscribed on Rolex dials today: “Superlative Chronometer Officially Certified”. 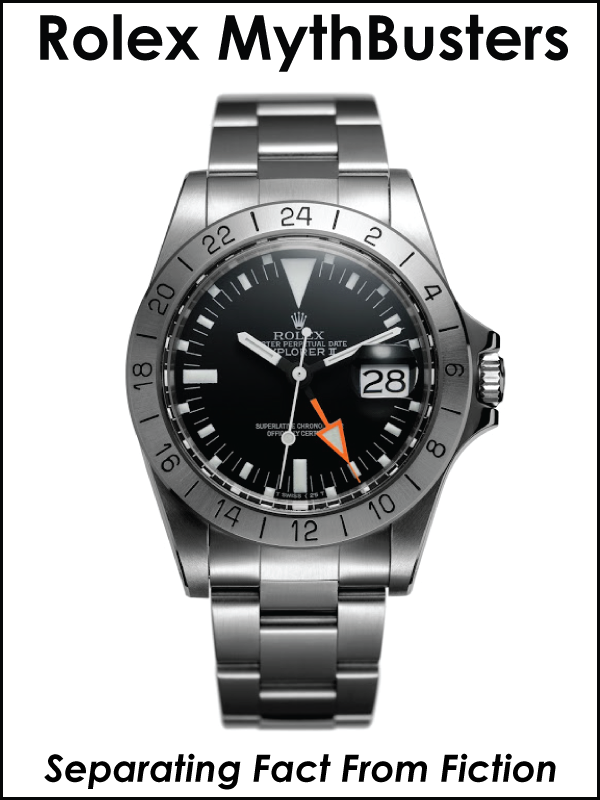 Since the creation of the COSC (Swiss Official Chronometer Testing Institute) in 1973, special citations are no longer given on the certificates. But the signature on Rolex dials remains as a reminder that since the early 20th century, Rolex has played a central role in the development of the modern precision watch. 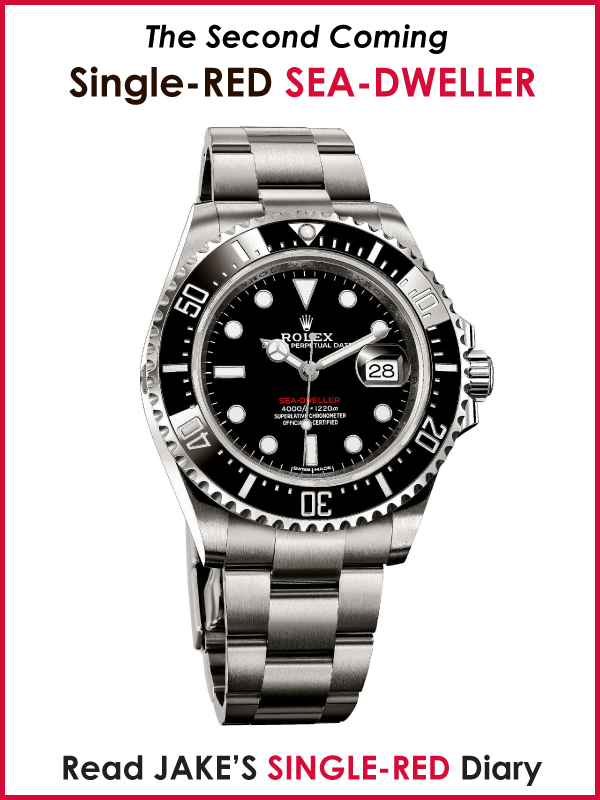 The brand’s leadership in chronometric precision continues to the present day, as Rolex is the largest manufacturer of chronometer-certified watch movements in the world.